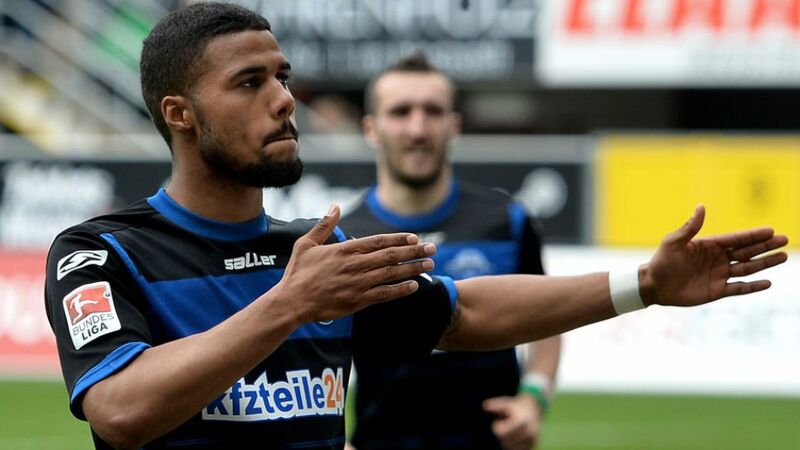 Ingolstadt- Bundesliga newcomers FC Ingolstadt 04 have boosted their attack ahead of the coming season with the signing of striker Elias Kachunga from relegated outfit SC Paderborn. The 23-year-old, who scored six Bundesliga goals in 2014/15, has penned a four-year deal, keeping him at the Bavarian club until summer 2019. "After the disappointment of getting relegated with Paderborn it wasn't an easy decision to leave," Kachunga said. "But Ingolstadt can offer me great opportunities. I'll have the chance to keep developing, to use the experience I gained from last season's relegation battle and to achieve the club's aim of staying up."